In honor of Leap Year, the Walt Disney World Resort is offering a special deal by giving you an extra Day and an extra Night Free when you buy a 3-day, 3-night non-discounted package including Resort Room and Theme Park Tickets. This deal is called "One More Day and Night Of Disney Magic, Free!" 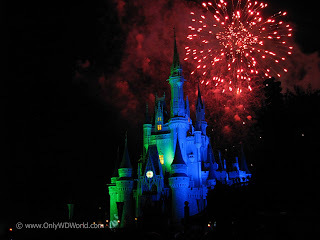 Offer is good at select Walt Disney World Resorts for arrivals most nights between Feb. 26 - March 10, 2012. You must book this deal before January 31, 2012. Purchase a non-discounted 3-day, 3-night Magic Your Way Package including Walt Disney World Resort Hotel Room and Theme Park Tickets. Receive an extra night hotel stay and an extra day added to your theme park tickets.